We are sharing the best books for learning Java . If you are new to the java world then you should not miss out these books .Most of the readers find it hard to learn java at the beginning. So if you read these books thoroughly and understand the concepts , then I am sure you will not have any trouble in java interviews or any competition involving java. Best books for learning java are read by almost every Java developer , these are the books which makes you different and give an extra edge against the students who have just the basic knowledge of java .Check also simple java programs . This is the first door to start moving your feet towards mastery in java . The best thing about this book is image visualization . Every concept of java is explained with the help of images and diagrams . Thus it becomes very easy for the java beginners to understand concept through images along with examples . I find it really enjoyable to start learning java with this book . Kathy siera and bert bates , the writers of this book are one of the most respected people in the Java community. They have worked together in Sun (Company later acquired by Oracle) and has contributed questions in setting papers for the professional certification program like Oracle certified java professional (OCJP). They have explained the concepts in the best possible way .There are exercises like fill in the blanks , match the following at the end of every chapter ,so in that way ,you can implement whatever you have learned about the concept. Thus , in beginning ,either 1 or 2(below) should be your best books for learning java. This is the must read java book for beginners . This book has covered all the small tidbits about the common terms such as constructors , class , operators ,exceptions etc . If you are about to give professional certification program such as oracle certified java professional (Ocjp) , then its a boon .I will highly recommend to try this book. It covers the details of the simple concept. You will surely enjoy reading it .This book is from the same author who wrote Head First Java. The another great thing about this book is that topics are given and explained in a proper manner . One just need to start reading the book and everything explained in the topic co-relates with the topics which are already discussed .This book also comes with a CD which contains all the sample papers of the OCJP exam . You can use that sample papers for your preparation . Also the quality of the questions at the end of each chapter is marvellous especially Threads and Collections . Do check out this book for better understanding the java concepts. Effective java is in 3rd number in the list of best books for learning java .This book will teach you how to effectively use and optimize java in real world. This is one of my favourites books in java written by Joshua Bloch . Joshua Bloch has been a very popular name in the java community. 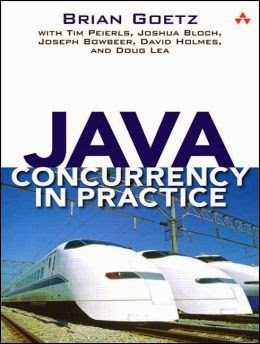 He also co-authored another famous book for java developers "Java Concurrency In Practice"This book is for the people who wants to utilize java in the best possible way . Concurrency, Generics and General programming are some of my favourite chapters of this book . Every topic has been explained with the code example , so you are learning in a more practical way . To get maximum benefit ,you must read this book after reading either 1 or 2(mentioned above) . So go ahead and buy this book if you want to pursue career in java . If you are pursuing career as a java developer , then this is the book you will surely going to enjoy . This book you can say is a niche in core java in other words it covers mainly one topic of core java that is concurrency , how two threads work simultaneously.How one can avoid deadlock , How to solve producer consumer problem . 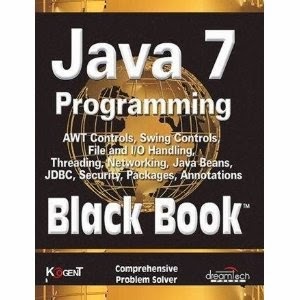 If you want to learn real core java concepts then this is the must have book in your shelves. Collections and concurrency are considered as the real core concepts of the core java . This books cover concurrency really well . All the top investment banks like Goldman Sachs , J P morgan , Morgan Stanley works in concurrency concepts (as they deal with share prices). 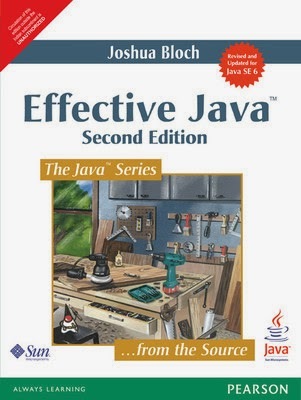 This book is co authored by Tim Peierle , Joshua Bloch (also author of effective java), Joseph Bowbeer , David Holmes and Dous Lea . This book you should read after reading above 3 books so that you dont find difficulty in understanding concepts of concurrency. Please read this book if you want to add feathers in your career . 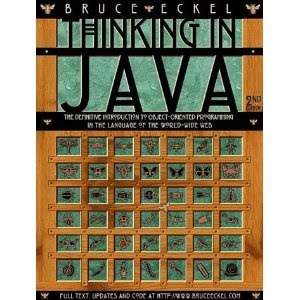 Thinking in java is a well written book by Bruce Eckel . The topics from which you can learn a lot is Containers in depth , Annotations and Graphical User Interface. This book speciality is that you can find many class diagrams along with well explained coding examples . This book is must if you like to prepare concepts by writing code examples . This book is also not for a beginner . This book is for those who want to show their mettle and have desire to learn every piece of java . 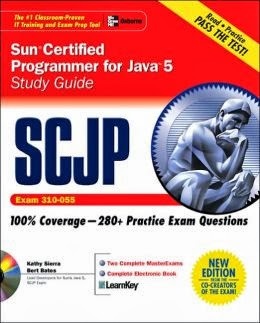 So you can read this after reading first two books that is Head First Java and SCJP 6 Sun Certified Programmer for Java. In the above books GUI or Java swing is not explained well , so for beginners you can read this. This is the book which deals with real world problems . Every language faces the limited resources problem . As we know java is used in enterprises , so when the scale of the application increases so as the resources required to keep the application alive and running. In these type of scenarios we need special kind of java experts . Experts who knows how to maintain the same level of performance with less usage of resources . This book is to become that kind of experts. You will learn what steps one should take to reduce memory load . How to optimize the java application , which are the good practices for coding and many things. So if you have spare time and you are done with above books then this is the book you can spend your precious time . This book is mainly for higher experienced java developers and coders . So if you are new to java then you can skip it in your to do list . Another great book from a familiar famous name in Java community Joshua Bloch and his partner Neal Gafter . 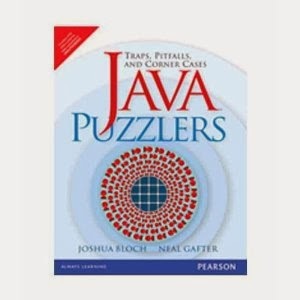 Its a great book for those who love puzzles , as many of these questions can be included in the core java interview to determine the java skills of the candidate. This is one of those books which are there just to puzzle you . This book is not recommended for the concept building purposes . For concept building above mentioned books are good . 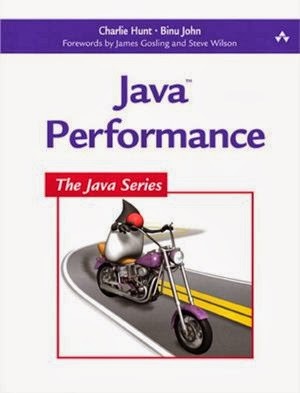 But to get different taste of java questions , you can try this book . The only way you can make most out of it , to solve questions by yourself , and then only compare the answer with the solution . In that way you will improve not only your coding skills but also logic skills as well . Please do mention in comments in case you have any doubts.